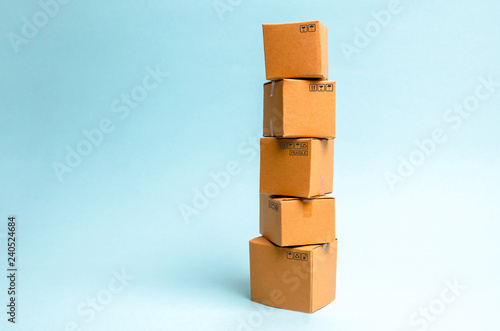 Tower of cardboard boxes on a blue background. The concept of moving and delivery of goods and goods. Commerce and business processes, logistics, distribution and sales.